LOS ANGELES - April 19, 2018 - PRLog -- The United Premier Soccer League (UPSL) is excited to announce Super Green FC Eagles as a new member starting with the 2018 Spring Season. Based in Silver Spring (Md. ), SGFC Eagles begin UPSL play in the Northeast Conference American Division, and will host its home games at Montgomery Blair High School (51 University Blvd East, Silver Spring, MD 20901) and Paint Branch High School (14121 Old Columbia Pike, Burtonsville, MD 20866) stadiums in compliance with UPSL's Minimum Standards. 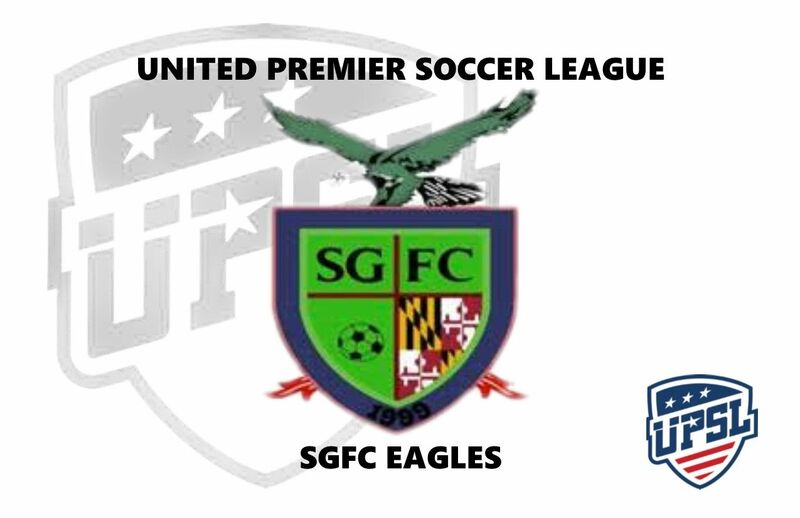 United Premier Soccer League Commissioner Yan Skwara said, "The UPSL continues on its path of Connecting American Soccer, and we're very pleased to welcome SGFC Eagles out of Maryland. The club has created a history of developing international-caliber players and has a reputation for excellence in its community. We wish SGFC Eagles every success as it prepares to kick off this season in the UPSL." Founded in 1999 as a pro development club, SGFC Eagles is affiliated with youth programs in African, South American and the United States and the club's technical staff has developed talented youth players in professional players in eight different FIFA federations. The club's network also is affiliated with international clubs and offers yearly training camps in Greece, Turkey and Spain. SGFC Eagles Majority Shareholder and President Richard Opanuga said, "My dream is that, sooner rather than later, majority league will be adjusted or restructured to engage in Pro/Rel systems similar to Premier League, La Liga, Bundesliga, Serie A and French Ligue 1." "While continuing in our quest to play in a vibrant league, we've decided to come on board after UPSL Commissioner Yan Skwara spoke with us about the UPSL's vision and plan for the Northeast," Opanuga said. "We've observed UPSL's approach across the nation in all regions, watching the sharp incline in teams and their positive approach to solving the issues with U.S. Soccer's model. We applaud the front office of the UPSL. Whoever has been putting this league together is doing an amazing job." Paul Ocampo is Head Coach of SGFC Eagles. A native of Baltimore (Md. ), Ocampo previously coached four seasons with Harrisburg City Islanders (USL), recently rebranded as Penn FC. Paul Akinrimisi serves as General Manager of SGFC Eagles. Olawale Olatoye is the club's Director of Global Liason. Brian Baublitz is the team's Scouting Manager and Communications Director. Emmanuel Olagunle is the club's Equipment Manager. Davis Eduok is the Club Trainer and an Assistant Coach. Timmy Omope of Global Impact Sports is the Club's Director of Youth Development as Head of SGFC Academy, and serves as the club's Media Administrator. The team starts its UPSL 2018 Spring Season at home at 6 p.m. on Sunday, April 22 vs. Upper Darby FC. Super Green FC Eagles is an American Soccer club currently based in Silver Spring, Md., and a new member of the United Premier Soccer League. Super Green FC Eagles play in the UPSL Pro Premier. Founded in 1999, SGFC Eagles can participate in the qualifying rounds for the Lamar Hunt U.S. Open Cup through their affiliation and membership with the UPSL, the U.S. Soccer Federation (USSF) and the United States Adult Soccer Association (USASA). The UPSL was formed in 2011 and currently includes more than 160 teams in Arizona, California, Colorado, Florida, Georgia, Idaho, Illinois, Indiana, Iowa, Kansas, Maryland, Massachusetts, Michigan, Minnesota, Missouri, Nebraska, Nevada, New Hampshire, New Jersey, New Mexico, New York, North Carolina, Ohio, Oklahoma, Oregon, Pennsylvania, Rhode Island, South Carolina, Texas, Utah, Virginia and Wisconsin. UPSL is the fastest growing Pro Development League in the USA, with 200-plus teams targeted for 2018 Spring Season. Each UPSL team is individually owned and operated, and is responsible for maintaining either UPSL Pro Premier Division or Championship Division minimum standards.